Caterer Kathi Bess of Canopy Rose Catering Assembles Garden Party Salad for a catered function at the Mary Brogan Museum, Tallahassee, Florida. Canopy Rose Chef/Owner Kathi Bess Whips Up Chicken Baked Ziti for 100. Canopy Rose Congo Bars at the Mary Brogan Museum in Tallahassee, Florida. Canopy Rose Catering Sets Up Several Identical Stations at the Mary Brogan Museum to facilitate fast and efficient food service. While the budget for this function is fairly small, Canopy Rose does an excellent job providing delicious food in a pretty presentation all while staying on budget! The guests arrive for a fabulous evening in Florida's Capitol City on the Friday before the 2010 Florida Legislative Session begins. To hire Kathi Bess (formerly Dameron) & Canopy Rose Catering as your Tallahassee, North Florida or South Georgia caterer, call 850-539-7750 for availability. Working out the lumps reminds me a little of life! Canopy Rose Congo Bars ready for the oven. Canopy Rose Congo Bars ready for catering a party! In addition to teaching cooking classes and catering weddings, luncheons, parties, and other special events Canopy Rose owner, Kathi Bess also writes a regular newspaper column in the Northeast Chronicle / Tallahasssee Democrat newspaper. The "Entertaining with Kathi" column has been running for almost 4 years now! The inspiration for today's column came from Ernest Hemmingway's Parisian Literary Salons of the Twenties and Thirties. Enjoy! What about a salon dinner party? "Join us for an intimate, invitation only Salon Dinner Party and the opportunity to meet the New York Time's Best Selling Author " the elegant engraved invitation read. This wasn't your standard post-modern invitation. For one thing the invitation didn't come by way of Facebook or e-mail, or even e-vite. No, this invitation was delivered the old fashioned way — by letter carrier. With it came the promise of something more, something grander. Now don't try to Google the term "Tallahassee salon" because chances are you won't find the sort of salon I'm referring to in this article. No, I am not talking about a place where one goes to get one's hair cut, colored or curled. But on the other hand, the discourse served just might curl your hair with delight, as it does mine. I have always been fascinated by the very concept of a salon gathering where important ideas are exchanged. Popular back in the 17th, 18th, 19th and early 20th centuries, these gatherings of the intellectual, social, political and cultural elites of their day fell out of favor. In recent years, one's knowledge about salons came by way of books, literature, art, history and the politics of these long-gone eras. The French Literary Salons of Hemingway's day sounded downright delicious to this writer, as did the Washington DC Political Salons of Pamela Harriman's day. I love the very idea of this social and literary alchemy, and it looks like I'm in good company. I keep stumbling on telltale signs that suggest a renaissance is brewing. Salons are springing up in Paris, London, Baghdad, New York and even the mountains of North Carolina. Are the intellectual salons of a bygone era really experiencing a rebirth? Oh, I sure hope so! I'd love to see one in the Tallahassee/Havana area similar to the one held monthly at the Soho House in London, where writers gather together once a month to share works-in-progress and inspire, goad and cajole one another. On my Bucket List for the next time I'm in North Carolina, I'm booking reservations at a country inn that is patterning Sunday afternoons after the famous international salons of the past. I wish to encourage you to show your commitment to good conversation by hosting a salon this spring! Simply pick a subject, select a guest speaker, draw up your invitation list, and create a dazzling menu that complements the theme of your salon. There is nothing more fun than a menu that creatively matches a special event. Let's begin with a fiery icebreaker. Place cheese on a serving platter. Top with jelly. Garnish with fresh herbs, red grapes, and Florida strawberries. Where can you order Cruffles and Cake Balls in North Florida and South Georgia? Cruffles and Cake Balls are one of the hottest culinary trends sweeping the country and it is no wonder. These little bites are simply heavenly. Decadent Cruffles are popping up at wedding receptions, birthday parties and soirees of all types. Question: What are Cruffles and Cake Balls? Answer: Cruffles and Cake Balls are a delicious cross between cake and truffles. A decadent mixture of cake and assorted confections are hand-rolled into moist bite-size bites and then draped in dark chocolate, white chocolate and/or other fabulous coatings. Question: Where can I get Cruffles and Cake Balls? Question: Do they come in different flavor combinations? Answer: Absolutely! Chocolate Kahlua Cruffles, Hummingbird Cruffles Carrot Cake Cruffles, Red Velvet Cruffles, Chocolate Peanut Butter Cruffles, Chocolate Irish Cream Cruffles, Lemon Raspberry Cruffles, Italian Cream Cruffles, White Coconut Cruffles, Butter Brickle Cruffles... the list is endless! Chef/ Owner Kathi Bess will be happy to custom-design a Cruffle especially for you and your special event. Are you responsible for your next lunch meeting? Today we are spotlighting a marvelous Mediterranean menu from the kitchen of Canopy Rose, a Tallahassee-area catering company. "Catering is all about creating the wow," says the owner of the Tallahassee-area catering company, Canopy Rose. For almost the last four years, caterer Kathi Bess has been writing a newspaper column in the Northeast Chronicle / Tallahassee Democrat newspaper. The column, "Entertaining with Kathi" comes out every other week and features unique vignettes and recipes relevant to entertaining. 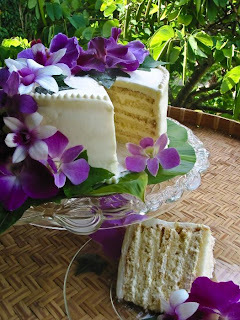 These articles are about sharing with readers how to create the wow at home, with or without the hiring of a caterer. Originally opened in 1994 in a space the size of a tea loaf cut in half, Canopy Rose eventually morphed into one of the busiest catering operations in North Florida, operating out of a 3000 square foot catering facility in North East Tallahassee. The client list often read like the Who's Who of Florida. By the mid-oughts Canopy Rose decided to slow down and smell the roses, allowing the owner an opportunity to pursue another great passion- writing. It was during this time that Kathi Bess (then Dameron) began writing the popular "Entertaining with Kathi" column. Well, as fate would have it, by 2008 Canopy Rose would wow once again! A move to the historic quarter of neighboring Havana, Florida presented the perfect opportunity to ressurrect the legendary Canopy Rose! Two years later Kathi was married and building a brand new catering kitchen. Kathi still caters, writes and creates the wow. To make things as easy as possible for Tallahassee-area catering clients, we are excited to announce our simplified catering menu. 1. Call us at 850-539-7750 to verify availability for the date and time that you will need catering services. 2. Select your options from the simplified menu or allow us to custom create a special menu for your event based on your group's taste preferences, location logistics and your alloted food budget. 3. Get set to reap the kudos from your guests for a deliciously executed event. Planning a 2010 event at the Florida Capitol? 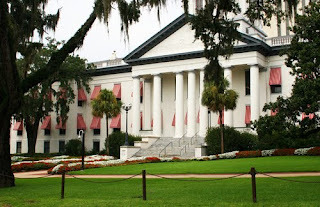 Since the Florida Legislative Session of 1994 Canopy Rose has been catering delicious breakfasts, luncheons, dinners, and receptions on the grounds, porticos, reception areas and private offices of the Florida Capitol. Our client list has read like the Who's Who of Florida. Our beautifully presented and deliciously prepared foods have been served to several of Florida's Honorable Governors, Senators, House Representatives, Supreme Court Justices, and Citizens. Caterer's Availability: Call to check on availability. Events can be booked a year or more in advance. Now is the time to reserve your Spring Garden Party catering! Tallahassee area gardens will be in full bloom soon. At Canopy Rose Catering, we create exquisite menus to complement the style and sophisticatrion of your event. 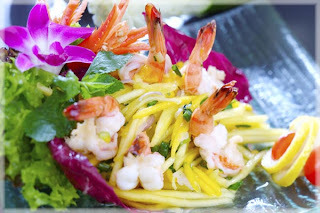 Canopy Rose Culinary Arts and Catering Company is excited to announce our next cooking class. Learn the secrets to making this fabulous multi-layered Canopy Rose original creation. This is a hands-on class utilizing demonstration and participation. Each class member will have the opportunity to make their own pan to take home with them. Class participants will receive instruction, culinary tips, class hand-outs, samples and a delicious dessert to take home! Cooking Class Price: $65.00 Payable at time of reservation to hold space. Seating is very limited and by ADVANCE RESERVATION only. Looking for a GREAT Valentine's Gift for a loved one? How about a Cooking Class Gift Certificate?